Won a complete defense verdict in federal court against $27 million malpractice and negligence claims involving a subdural empyema. 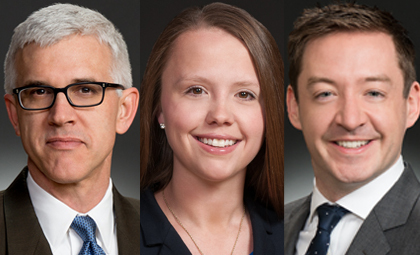 Following a three-week federal jury trial in Colorado before Judge R. Brooke Jackson, WTO attorneys defeated medical malpractice and negligence claims to win a unanimous defense verdict. The plaintiff claimed $27 million in damages and alleged that WTO’s clients—including a hospital, neurologist, hospitalist, and physician assistant—were negligent in not diagnosing an intracranial abscess when the plaintiff’s son visited the emergency six times in eight days for a concussion, headaches, and sinusitis. The patient was admitted to the hospital for three days. The plaintiff claimed that 17 days later, the epidural abscess progressed to a subdural empyema, causing her son's brain to herniate and leaving him with brain damage. During the three-week trial, the two sides put on 15 expert witnesses, highlighting the science and medicine at play in this difficult case.